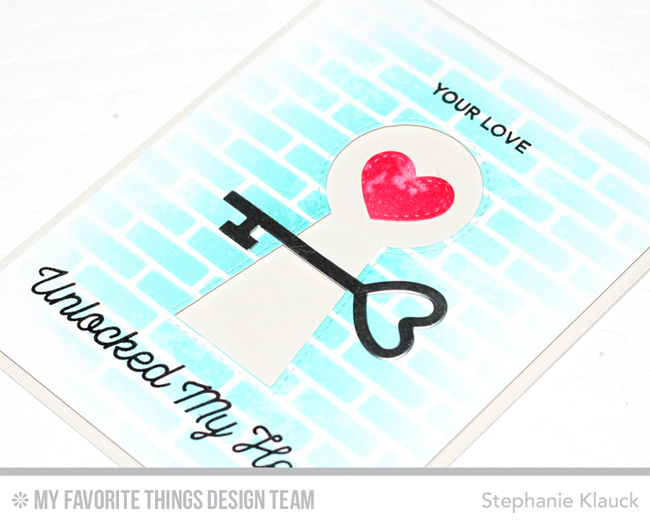 For my card today, I used the large keyhole die and cut it out of the center of my cardstock panel. I added some Peacock Feathers Distress ink through the Small brick Stencil to give the background the look of a house and then I adhered the panel onto a Grout Gray piece of cardstock with foam adhesive. Before adhering it to the grey panel, I stamped the sentiment with black ink above abd below the keyhole. I love the stitched detail that the die leaves behind. Once I had everything adhered, I used the Silver Shine cardstock to cut out one of the keys and added it over the opening. I also added a heart that I had diecut from the Hot Cocoa Cups Die-namics. Make sure to head over to the MFT blog for more ideas from the creative team using this awesome new kit. The kit will officially be available in the MFT online store tonight 9pm EST! The colors and the stenciling are simply perfect. 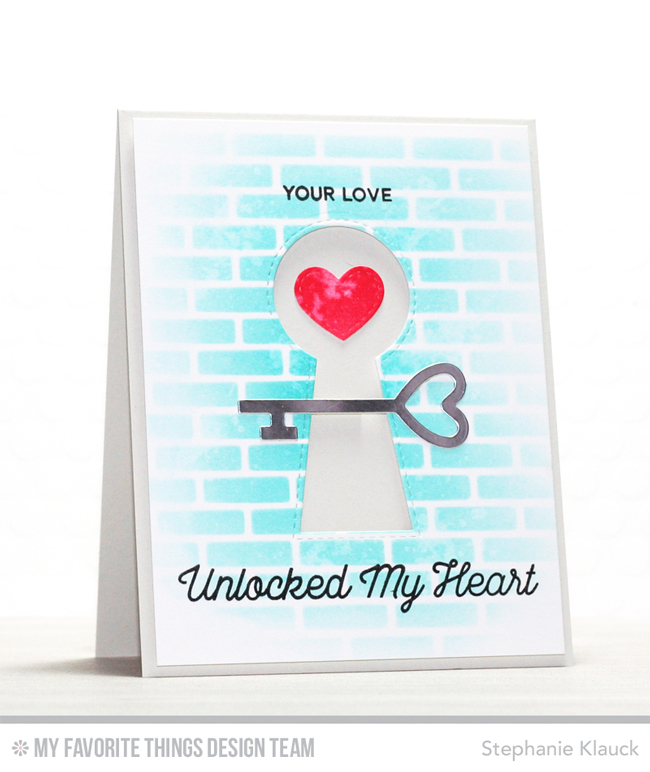 Such a sweet card and love the idea of stenciling brick for the imaginary house! Nice use of colors and pretty card. I want this card kit!